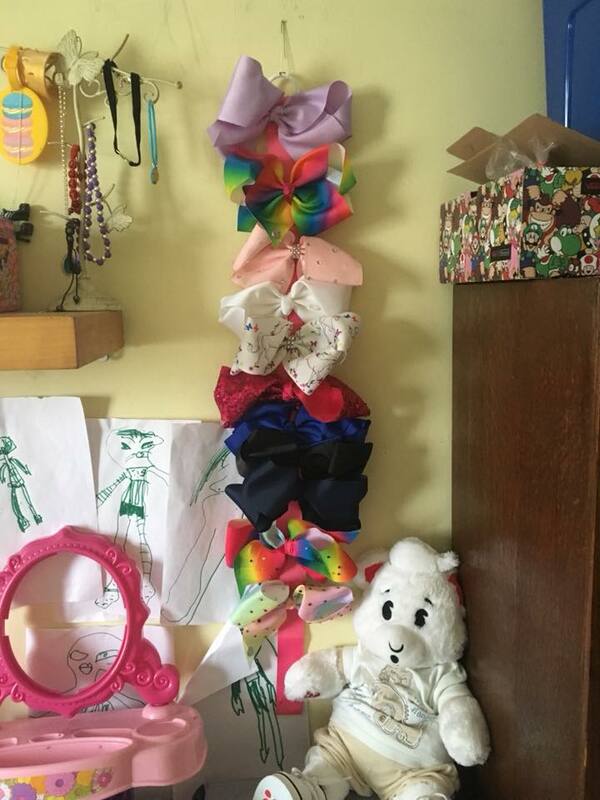 Unless you have been hiding under a rock the past few months you would of noticed a lot of girls wearing huge colourful bows in there hair. This become the new phase in the playground thanks to JoJo Siwa. She is an American dancer, singer, actress, and YouTube personality. She is known for appearing for two seasons on Dance Moms along with her mother, Jessalynn Siwa, and for her singles "Boomerang" and "Kid in a Candy Store"
JoJo has a massive range of different coloured, textures and patterned bows. 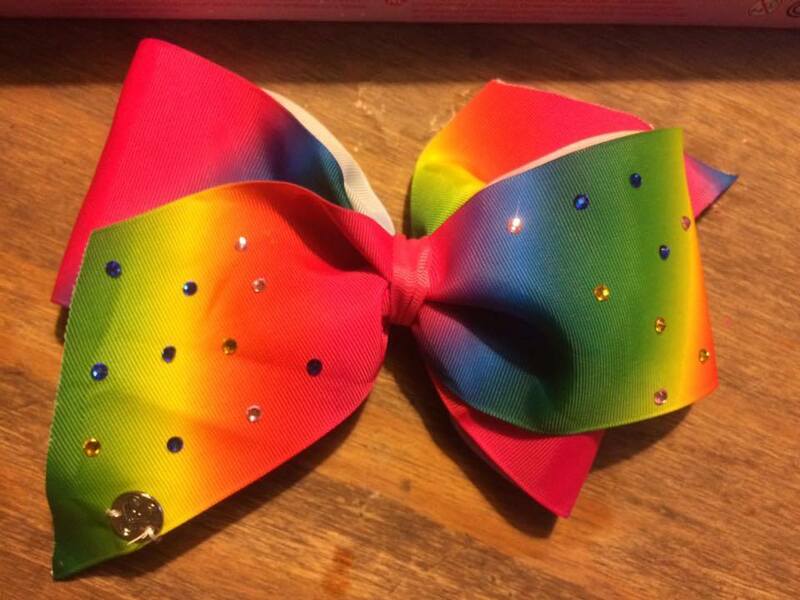 Along with a massive range of products is including the deluxe bow maker where you now can make your very own bows. The box is jam packed with goodies. Included in the box is the bow maker, ribbon, glue, clips, string, JoJo Charms, stick on diamantes, bow holder and two fluffy Pom Pom keyrings. The box says 5+, but I will be totally honest it took me around 5 attempts to get the bows looking like an actual bow. The instructions was pretty straight forward but they was just looking very wonkey to start with. This was attempt number 5, and with a bit of help from me this was Lexie’s first attempt. Included in the box is enough ribbon and accessories to make 5 big bows and 4 little bows. Lexie loved all the stick on diamantes to decorate the bows and the bow holder to hold her new bows. 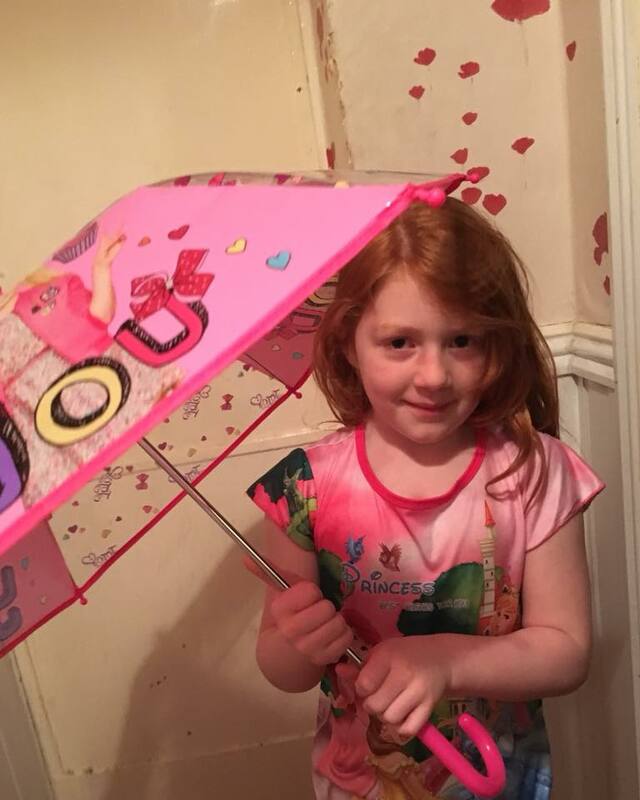 We also received a JoJo umbrella and a pack of two bows. RRP is around £15 which I think is fantastic value as a normal large bow is around £8/10 per bow.